Many people seek the help of their doctor in hopes of fixing their hammertoes. It is common for podiatrists to receive patients who want to do something about their “ugly toes.” In truth, hammertoes can also be quite uncomfortable when they lead to such thing as painful corns, calluses, and swelling. The good news is that we will be able to perform toe surgery if necessary. Depending on what stage the deformity is in, a hammertoe can be either flexible or rigid. When they become painful hammertoe surgery will be necessary to alleviate the problem. Surgeries to correct hammertoes do not require an overnight stay at a hospital. The procedure can be done during the day and then you can go home to recover. 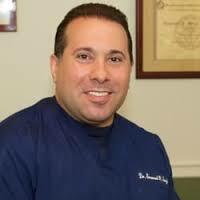 Essentially, you are given either just a local anesthetic or sedation so that you can sleep through the procedure. Such surgery only requires a small incision. The different types of hammertoe surgery are soft tissue correction, digital arthroplasty (removal of a small piece of bone), and digital arthrodesis (joint fusion). Soft tissue corrective surgery redirects the tendons and joint capsule of your toe which will correct the position. A physician will have to implement a combination of procedures using techniques from the different types of toe surgeries mentioned. Digital arthroplasty involves correcting the soft tissue and removing a piece of bone in order to straighten the toe. 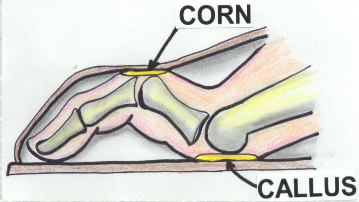 Digital arthrodesis techniques involved fusing two bones together in order to straighten the toe. Often hammertoe surgery requires a mental wire or other implant to be inserted into the toe that will hold it into place while it heals. The end result will be a straightened toe. How Long Does it Take to Recover from Hammertoe Surgery? I do most of my surgeries on Friday. I instructed patient to remain off their feet all day Friday, Saturday and Sunday. People that have a desk job can usually return to work on the Monday following their Friday surgery. Most people wear a surgical shoe for 3-4 weeks. Before surgery, make sure that you have a friend or family member who can bring you home after the procedure. It’s important that you take proper care of your feet in the weeks following the procedure in order to get the most out of your surgery. This will involve wearing proper footwear and following the instructions given. When we fuse joints for hammertoes we fuse the joint in the toe, not at the ball of the foot. Since the toe does not bend into the ground the fusion really does not affect running, walking or wearing heels. Hi, Last year i had a bobcat bucket crush my left foot and the bones heeled really nice but now i have what they call “reverse hammer toe”. I saw my surgeon a week and a half ago and he is going to operate. My guestion is… How long will I be off work for, cause he is planning to lengthen the tendon and take out the knuckle bone and fuse it together. Thanks. Hi Ryan. These are questions for you ask your doctor. Without evaluating you I can’t know for sure. Also, the takeoff from work depends on what kind of work and activty you do.